Been wondering what to expect from YEN PLUS? Well here it is! Your first look at the face(s) of our new anthology! YEN PLUS will be sold at Barnes and Noble, Borders, and other major retailers, so be sure to look for YEN PLUS on July 29!  What is Yen Press’s plan at Comic Con this year? Any special guest or panel? Can we have synopsis of the two previously unannounced left-to-right comics??? Awesome, can’t wait to get this! I especially look forward to Higurashi! Can’t wait for july 29th really looking forward to higurashi and soul eater. These look awesome, and the Maximum Ride art is great. Also, are those two new series I spot on the side…? ^_^ If so, 11 series…wow. Definitely picking this one up. YESSSSSSSSSS SOUL EATER!!! My #1 favorite manga/anime ever! Nice cover design. Really looking forward to this. Omg I’m super excited for the mag.I’m court down the days.Is it going to be in places like walmart? I was wondering have you already sent the first issue to printers yet? Good lord, is that some “moe female character,” the one element most sorely missing and desperately needed in Western comics? I’m a bit more interested in this Maximum Ride series now. Ahh, I’m looking forward to this. I’m also glad that you guys actually know the difference between manga and manhwa too. I get so annoyed when people call manhwa, manga. Maybe it’s because I’m partly korean, but I’m glad you guys are putting Manhwa out there- and the best ones too. Hah. what news stands? will this be available at Borders, amazon.com, Barnes and Noble? if we can’t subscribe for the first issue, where can we expect to find it? jja — You can pretty much expect to find the first issue on newsstands most anywhere. Borders and Barnes & Noble certainly! And never fear, we are diligently working on finalizing subscriptions for anyone interested! I’m really really looking forward to all the titles you guys are publishing especially the Higurashi and Suzumiya Haruhi mangas that I have been waiting for oh so long in hope of coming to the US one day! And as a plus you guys are publishing the Hidamari or should I say Sunshine Sketch books too! Keep up with the good work guys! I see subscription options on Amazon.com. If I subscribe now, can I expect to get the first issue in the mail, or should I still go to the store/newsstand to pick it up? I need my fix of Svetlana Chmakova’s newest amazingness! I can’t wait to buy a subscription, I’m going to need it!! Joe, summommoo may be crap for you, but it certainly has a following. Both my self and others i know think Soul Eater is crap, but lets face it, with anthologies you’ll never get ALL the titles you love. The idea is to get several new ones out there, get you into them, so as you’ll buy the collected volumes when they’re released. Ugh, one thing I’m disspointed about is that you have more manhwa/OEL manga than mnaga. I mean, you could’ve taken out two of the manhwa and put two other Square Enix manga like Kuroshitsuji or Violinist of Hameln. I’m quite glad they’ve picked up Higurashi and Bamboo Blade. The other titles will be an interesting first read. I really cant wait for this. Soul Eater, Sumomomo Momomo, Higurashi, Nabari no Ou. This will be a great magazine! Just got it at Waldenbooks. Good job ^_^ I enjoyed it alot. I can’t find the magazine ANYWHERE in the Barnes & Nobles in my area. Could you guys post where they are available in each state? This so beats Shoujo Beat and Shounen Jump! It’s supposed to be out on the 29th? I guess I got mine four days early. ^^ Gotta love Walmart. It’s the reason I found the site. Love the Magazine, can’t wait for issue 2! I picked this up today at Barnes and Noble and it looks great. I did’nt even know it was coming out but I’m glad there’s another manga magazine. I’m also glad I get to try out manhwa which I’ve never read before. Thank you Yen Press for making a new and packed magazine for everyone. i love the magazine!! it rocks!!! I got the first issue and I was really happy with it! The only ones I didn’t like was the Manhwa Nightschool. Everything else was great though! I’m gonna subscribe when I get the next issue! I’ve been hoping and waiting for Nabari No Ou to come out in the U.S. and I was astonished to see it at the Square Enix booth at San Diego comicon. And even more surprised when I saw that this fantastic looking monthly magazine is going to hit store shelves just a few days from now. You have an instant subscriber from me! Looks like there’s going to be a lot of good quality manga to read in there! Keep it up Yen Press! Actually, the back cover isn’t a complete “manhwa” as the story was based on James Patterson’s “Maximum Ride” series. If you got the preview comic from “Free Comic Book Day,” you’d find Maximum Ride to be very promising. The artwork is very good, and I think the story’s going to be good, as well. ^This is from the Free Comic Book Day site. After seeing this and picking up the actual freebie, I’m really looking forward to this series. Haha actually, I’m usually reluctant in buying non-Japanese made manga, but I think this one might change my mind. I really wish Yen Press lots of luck with their upcoming magazine (TOMORROW!!!). Ganbatte! So where can we sign up for a subscription? I got it at Comic-Con (apparently SE isn’t afraid of losing tons of money to generate interest) and it was awesome. I can’t find Yen Plus anywhere! Depends how technical you want to get over it really. Maximum Ride is based on a novel, however the art is being done by Lee NaRae a korean artist who learnt her trade there. So if it’s being done by some one who learnt their profesion in korea, does it make it a manhwa? The ulitmate question though is does it matter? Both Ride and Nightschool are being billed as OEL’s. I CAN’T WAIT TO GET HIGURASHI!!!! I feel like I have been waiting my whole life for the manga. now I can get the manga and the anime. Once the second issue comes out, people can subscribe to the magazine right? Is it possible to subscribe online? I just love this magazine! I really appreciate a magazine coming out that has a sample of quite a few styles and genres; it helps readers learn what they like (and/or don’t like). Although some readers may be complaining about what titles are in it, I think that it was a rather nice selection and I plan to read all the titles every month. I’m definitely considering getting a subscription. I think my favourite title had to be Nightschool, as both its style and humour appeal to me. As for the future, I would really like to see a bit more information on the artists (as I’m too lazy to look myself). Congratulations on the launch of Yen Plus! I discovered it (well, I couldn’t miss it with that cover) at my local comic shop here in the UK, and I look forward to buying it every month from now on. So, since it’s apparent that Yen has a good relationship with Square Enix, what are the chances that we can get the Seto no Hanayome manga in the future? Congratulations! I stumbled across Yen Plus at a Barnes n Noble and couldn’t believe I’d found the first issue of a new manga serial. I had to check it out, obviously. Nightschool is my favorite and I look forward to more! AGHHHH I SOOOO WANT THIS. Too bad I live in Mexico. This pwns Shonen Jump and Shoujo Beat. Seriously. congratulations on the first issue i love it you guys have a great variety of manga. keep up the good work. All I have to say is that both Shonen Jump & Shojo Beat can never beat Yen Plus. Yuh guys are the best! so is there anyway to get this issue? cuz i meant to pick it up but was to late? I’m still looking for the first issue! I’ve got the second, but I really want the first! Then I’d be on the right track to collecting this magazine! Great collection… I can’t wait to get my hands on the September issue & the next one of Yen+ since I only have the 1st issue for free @ NYAF (New York Anime Festival) on Staturday… The back->front & the front->back I find to be confusing. I hope to get my hands on “One Fine Day” since it was so kawai! I got the first issue at the NY anime festival & after reaing it knew i had to get the next issue. i googled it just to find out how to subscribe. unfortunatly i dont have a credit card so ill have to have a friend order it for me. i am very pleased with the contents of this magazine & look forward to getting the next issues. I love this magazin, the December 2008 was the 1st one i bought. I don’t understand it is it korean and Japaness or just Korean. Are some of the manga at book stores or you just relesed them? Where oh where can I buy back issues?! I found out about this at issue 4! i was really impressed on the cover so i bought the ist issue. i didn’t expect that it was a mix of japanese, korean (even russian?!) manga and i was really hooked, especially Soul Eater!! although i have only issues 1 and 2, i can’t wait to buy the remaining latest issues!! may this mag continue to flourish and gain more attention especially to the fans. more power, banzai and aja! !